Matt Nielsen recently completed his tenth season in 2017-18 coaching the men's and women's tennis programs at the University of Rochester after being named head coach in 2008. Prior to being appointed head coach, he served as the assistant coach for both teams for five years. In ten years as head coach, Nielsen has coached the Yellowjackets to some of their greatest success in women’s program history. 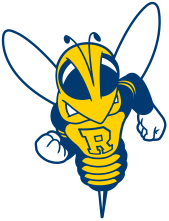 Rochester finished the 2009-10 season ranked #20 in the nation after finishing 4th at the UAA Championships, upsetting 14th-ranked Washington University in the first round. The Yellowjackets also received a national ranking during the 2010-11 campaign, finishing 5th in the conference. In 2016-17, UR returned to the national rankings, peaking as high as #35 in late April. Under the tutelage of Nielsen, Rochester women have accounted for two ITA Northeast Regional Singles titles, three New York State Division III championships, four ITA All-American awards and seven All-UAA honors. In 2010, Frances Tseng earned both the UAA and ITA Northeast Regional Rookie of the Year Awards. Coach Nielsen has also had two players selected to compete in the NCAA Division III Singles Championships (Lia Weiner in 2011 and Frances Tseng in 2012). The Rochester men have also progressed under the leadership of Nielsen. Over the past ten seasons, the Yellowjackets have been consistently ranked in the competitive Northeast Region, reaching a high of #13 and also earning a national ranking of #37 to start the 2014-15 season. Three Rochester doubles teams reached the semifinals of the ITA Northeast Regional Championships for three straight seasons from 2013-14 to 2016-17. UR's Jonny Baker earned All-UAA 2nd Team honors in 2014-15, the first men's player to earn All-Conference accolades during Nielsen's time leading the program. Along with the strong performance on the court, the Yellowjackets have seen much success in the classroom under Nielsen. Since the 2008-09 season, over 70 players have earned the ITA Scholar-Athlete Award and have been named to the UAA All-Academic Team. The women have earned the ITA All-Academic Team Award (average team GPA of 3.2 or above) all nine years, while the men have received the recognition seven times under Nielsen. In the spring of 2016, Nielsen earned recognition from the United States Professional Tennis Association (USPTA) as the Northeast Region Coach of the Year. Nielsen's career record coaching the Rochester women is 101-82 (.552) while his men's teams have compiled a 99-112 mark (.469). He is second in Rochester tennis coaching history in both men's and women's victories. Nielsen is a 2001 graduate of Penn State University with a baccalaureate degree in Kinesiology. During his time as a Nittany Lion, he played as high as 1st doubles and 2nd singles. He earned a master’s degree in Business Administration from the University of Rochester’s Simon Graduate School of Business in 2008. The Rochester-area native was a nationally-recognized junior player. Nielsen earned a national ranking in the 14-, 16-, and 18-year old age groups, rising to his United States high ranking of #44. He was the 2002 Rochester District Singles Champion as well as a five-time men’s doubles and six-time mixed doubles district champion. Nielsen is a 1997 graduate of Honeoye Falls-Lima High School. Margarita Kotok joined the Rochester Tennis coaching staff for the 2017-18 season. She came to the River Campus after a four-year playing career on the University at Buffalo tennis team. While playing for the Bulls, Kotok helped UB win the Mid-American Conference Championship in 2016-17 and reach the NCAA Division I Tournament. For her career, she accumulated a 61-34 singles record and 80-34 doubles record, ranking 8th in singles wins and 2nd in doubles wins in team history. Kotok was a team captain for her senior season, helping the Bulls win their first conference title in nine seasons. She has been an active tennis coach, coaching at Billy Nealon Tennis in Pittsford, NY from 2012-14 and then at the Miller Tennis Center in Buffalo, NY from 2016-17. Kotok graduated from the University of Buffalo with a Bachelor's Degree in Communications in May of 2017. She is a native of Macedon, NY. Shiva Kothari joined the UR tennis coaching staff for the 2017-18 season. Kothari's tennis experience includes spending time playing of the nationally awarded Duke University Club team from 2008-12 where he competed in multiple collegiate matches and invitational tournaments. Also, was a journalist for the Duke Chronicle sports section, serving as a tennis beat writer. He earned the Duke University Sports Club Service Award in 2011-12 by serving as President of the Duke-Durham Tennis Program which brought tennis to local communities by connecting Duke student-athletes to teach at-risk elementary school students. Was a head coach of four sports, including tennis, at the Waltersville After-School Program in Bridgeport, Connecticut from 2012-14. Co-Director of summer tennis camp and private tennis coach at Bethpage Park Tennis for two years under nationally renowned tennis coaches Steve Kaplan and Keith Kambourian. Earned Bachelors degree from Duke University in Neuroscience with a minors in statistics and biology in 2012. Completed Masters degree in Nutritional Sciences from Columbia University in 2017. Was a nationally ranked junior tennis player.